JRuby is a Java implementation of the Ruby programming language. One of the strengths of a Java implementation is that Java libraries can be used within Ruby code, the Ruby way (and that is cool, as we have seen! ); the weaknesses are that this means that the code is a lot slower to execute, and similar to what happens with Jython (the Java implementation of Python) the Java implementation lags behind the “official” version. This is obviously to be expected, and in fairness to the JRuby guys, they are pretty reactive! This post will describe how to use SWT with JRuby. It is written for Ubuntu, but more than likely very similar on other platforms. Get SWT from here (this article will be using SWT 3.5.1 for Linux), and extract swt.jar into $JRUBY_HOME/lib: that’s a quick way of making the jar available to JRuby. Once everything is set up, we can begin with a very simple example. Typical to JRuby, the first thing we do here is require 'java' to be able to call Java classes from our ruby code. And then, from then on, it is all SWT code: create a Display class, and with this Display, create a new Shell (window), whose size is 800×600. Then set the layout as RowLayout, and add a Button. Make the window visible with open, and the rest of the code is pretty much common SWT code to keep the window open until the application is shut down, at which point, the display is cleared up. 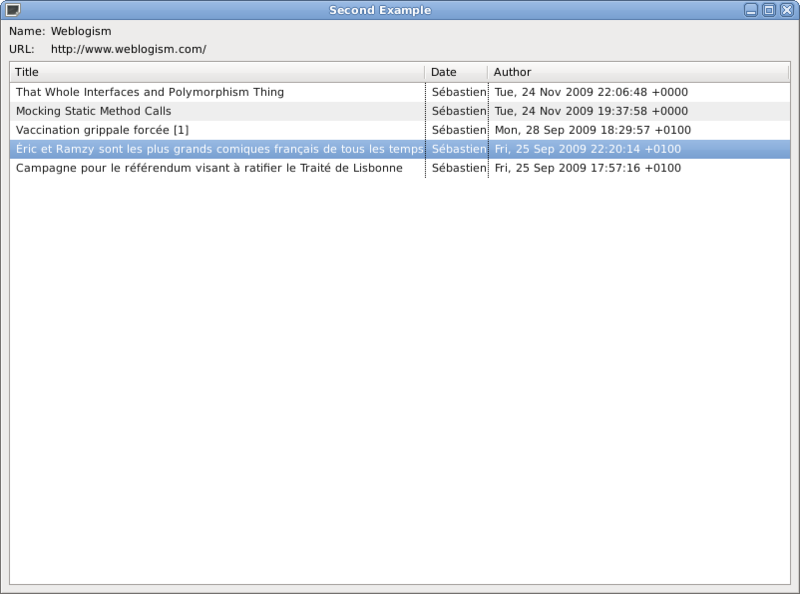 The more advanced example will read the RSS feed from weblogism, and fill in some labels, and put items in a table. Ruby provides a neat rss package, and good example of how to use it can be found here. # Neat little trick to include several classes from the same package. 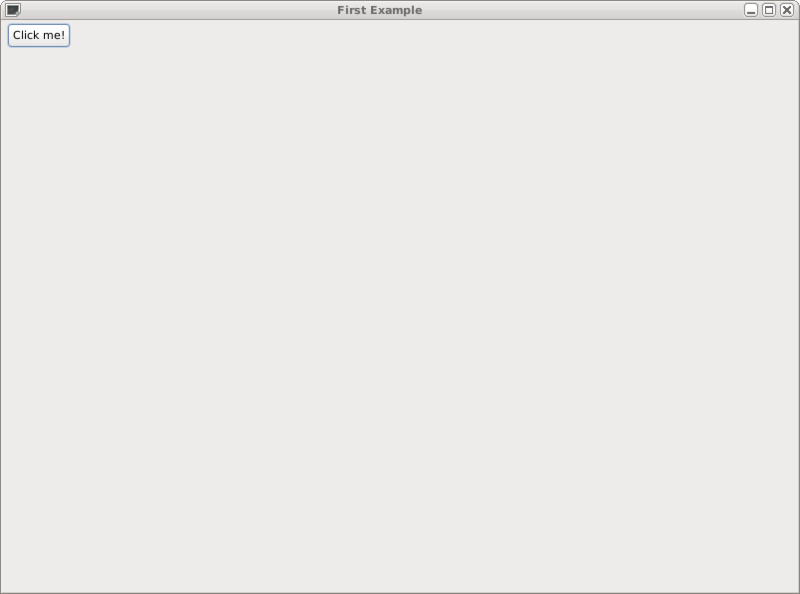 # Set the header of columns. # and parse. "false" means "no validation"
The examples above are not that far away from the Java snippets proposed on the SWT web site. This shows how JRuby can be easy to learn if you are already familiar with Java – and you get to play with a few syntactic niceties like the iterators that ruby brings in. However, it is true that performance can still be an issue on some big apps, but hopefully this will improve in the coming months.